Set Items Port cap, Hand strap, Stopper for LCD Monitor Hood with Lens, Hex wrench and Anti-reflective ring. 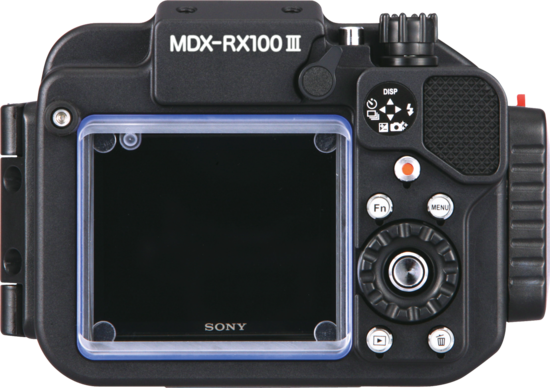 The MDX-RX100 lll is now compatible with the SONY RX100 V camera. The latest MDX-RX100 lll housing is, therefore, compatible with the SONY RX100 lll, lV and V cameras. 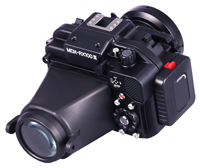 * MDX-RX100 lll housings with serial numbers over …0201 are compatible with all the aforementioned cameras. 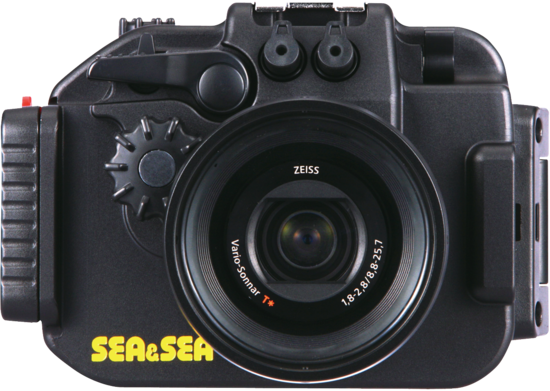 * If you wish to have the housing modified to accommodate the SONY RX100 V camera, please contact an official SEA&SEA dealer near you. 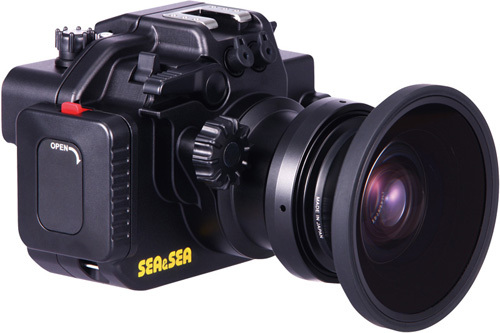 The port is threaded so M67 Wide-angle Conversion Lens 0.6x can be mounted directly. * Angle of view increases from 24mm (35mm film camera equivalent/aspect ratio 3:2) to approximately 18mm when the M67 Wide-angle Conversion Lens 0.6x is mounted. * When the lens is used at its widest angle, vignetting (dimming) will occur in the corners of the image. Zoom in slightly to telephoto (approx. 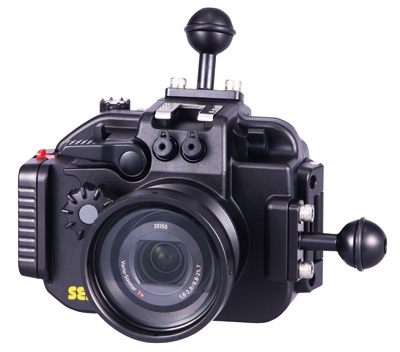 image angle of 30mm) to eliminate vignetting. 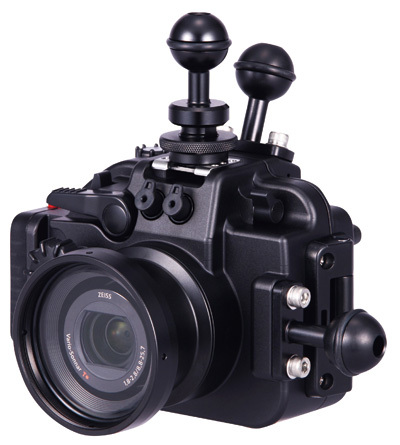 The camera can be mounted in the housing with SONY's accessory "AG-R2" grip attached, so allowing comfy, stable use on land when required.